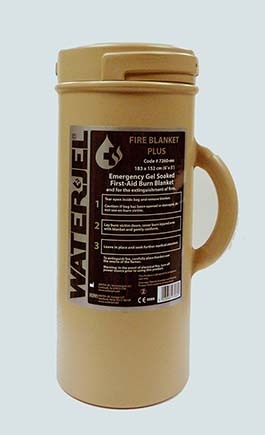 Water-Jel 7260 large, tactical burn blanket in a canister. The durable, easily identifiable canister protects the blanket from outside elements and is designed for use on large burns. 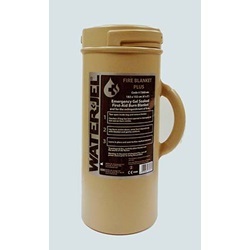 The plastic container with handle can be stored or used with Water-Jel Mounting Bracket #TM-10.